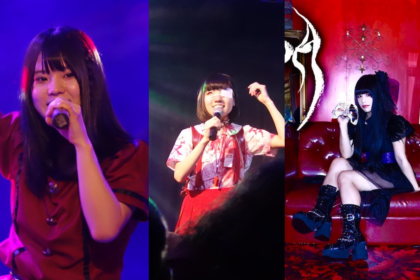 With a wide range of singing styles, AKARI MOCHIZUKI is a surprising live performer. She began singing Enka when she was three, went on to study drama and music in the UK and became a professional singer in 2009. 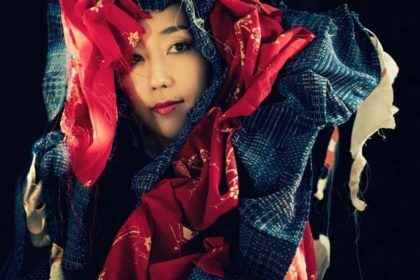 Akari has performed at events such as WOMAD and the Japan Matsuri and enjoys presenting audiences with a set blending in Japanese blues, Enka and pop tunes that have a 70s J-Pop appeal, such as new single ‘Hitori De Nadeshiko’. What sort of audiences do you usually have at your performances? It depends on where I have live shows because I do have regular live shows at Japanese restaurants and that’s where I have mainly Japanese, ex-pats, businessmen as the main target for that Japanese restaurant show. For example, anime conventions or a Japanese-themed event that is organised by English or local people, then the audience tends to be mixed or even more local non-Japanese people. So I get invited to many different opportunities and occasions. The Enka-style performance that you do does look extraordinarily difficult. How much training do you have to do to achieve that level of vocal skill? I have been singing since I was three. It wasn’t proper training that I was doing, but I was singing every day, every night with my father who loves Japanese singing. So he was teaching me how to sing and I was just singing every day and started to get the techniques right. But it took about ten years to be sure about that. I also notice that you have a wide range of styles: Enka style, Japanese Blues style, pop style. 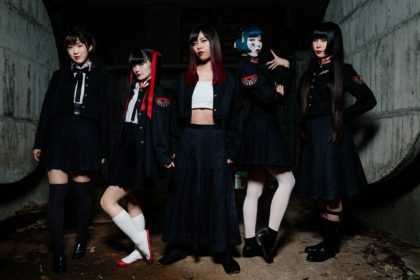 The song that you ended your performance at Hyper Japan with was very popular. That was ‘Hitori De Nadeshiko’. That was my first original debut song I recorded and I tried to recreate the atmosphere from 70s Japanese pop. 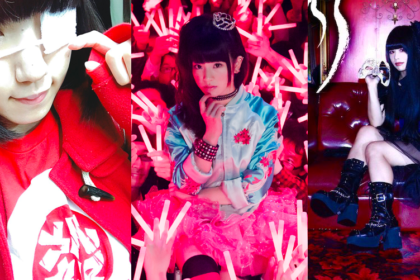 Those idols or even Enka singers back then had this sort of atmosphere and using the Western guitar but sometimes a little bit Japanese tune, Japanese scale they use – and there are lots of places the audience can join to get them involved! (laughs) That’s the style in the 70s. My speciality is Japanese Blues and the best time for Japanese Blues was the 70s, so I tried to redo it again for the audience who was listening to that song when they were younger and then they grew older and then come to England for work and then became managing directors, you know, those people. They miss young days and when I sing these 70s songs, they always feel nostalgic. I did notice that there were older Japanese people in the audience who were enjoying your performance. And yet that song appeared to have a broad appeal too. Is audience interaction a very important part of your performance? But being in London itself is different from other singers in Japan and I can now explain everything in English to the audience. So a Japanese singer who can speak in English and give them good impressions of Japanese music is my sort of role to bridge two cultures. I feel like I’m an ambassador sometimes as a singer and music is universal so I try to be different by giving them opportunity to join and they feel like they are part of it and that means they start recognising Japanese songs more often in their lives. So that’s a good start to converse, mixing cultures. Have you noticed a growth in an interest in Japanese culture in the UK over the past few years? Yes, I think more and more people are being educated about the difference first of all and also the internet, YouTube, everything is everywhere so I know that people feel close to it and people feel familiar with it. But at the same time, unless they actually see it in Japan it’s very difficult to actually feel it. So I try to bring that feeling from Japan by providing typical Japanese pop and bring the culture over here. Do you listen to contemporary Japanese music? Are there particular artists that you’re a fan of? Yes, of course. I do not have any specific singer, but I like Ringo Shena. I like her style and also I like Aiko. I listen to the male duo Chage and Aska and they have been really good. You also work with Hibiki Ichikawa on occasion. When did you first start performing with him? I think the collaboration started very actively in February 2011, that’s when he came as holiday working visa and that’s when we started thinking about as a duo sometimes because it’s crucial to have a singer in his performance because that is the basic style of tsugaru shamisen. So he was very happy to find me and I was obviously happy because tsugaru shamisen is rare. Nobody has heard about it. He is in the only professional player, even in Europe. So you’ve recently released a CD of ‘Hitori De Nadeshiko’. When did this come out? The end of October. The music video of ‘Hitori De Nadeshiko’ is now on YouTube. Where can people get the CD? A retailer called JP-Books in basement of Mitsukoshi department store in Piccadilly Circus and obviously whenever I have my performances I always bring my CD. Have you plans to sell the CD online? I will try to have iTunes ready very soon! When is your next live performance? 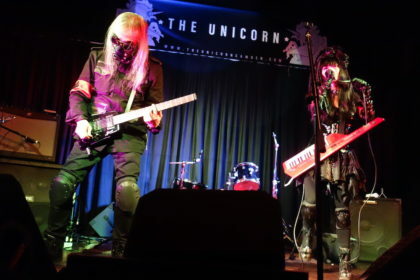 Next live performance is Anime convention in Burton on 8th December. That is booked and also be having two lives, two nights in a row, 30th and 31st. 30th one is called Dekinawa which is a Japanese London-based musicians get-together. The 31st one is Countdown Live at Café Oto which is live house in Dalston, Kingston and they’re going to have us as the main guests. At the end of January, Hibiki and I will be attending the biggest beginning of the year ceremony of the Japanese companies. The Lord Mayor of London will be there as well so it’s like huge event. Over 300 people will be attending and we are like the guest performers there. 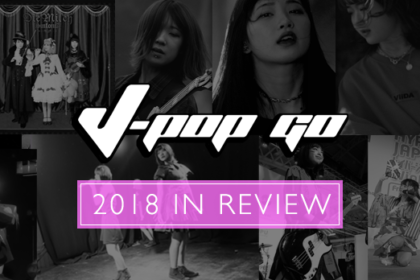 J-Pop Go extends its warmest thanks to Akari Mochizuki and the HYPER JAPAN press team. Akari’s CD Hitori De Nadeshiko is available via JP Books at Mitsukoshi department store, Regent Street, London.